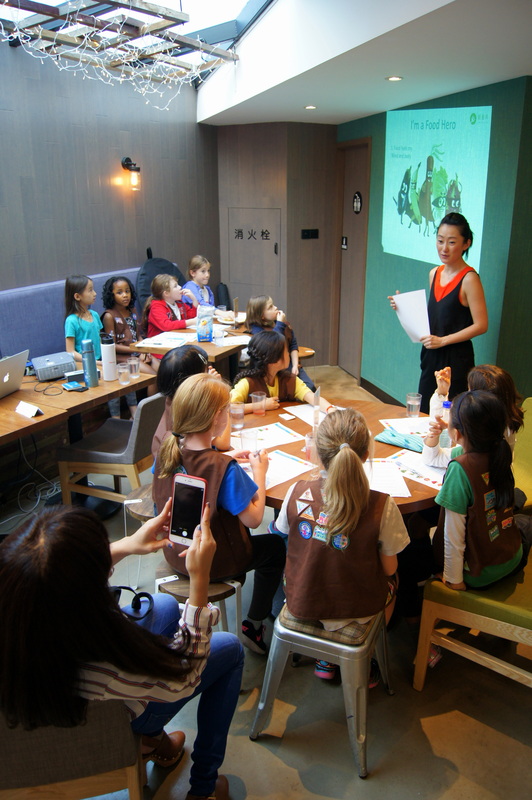 Milk tea, goldfish, banana chips, and a russet potato lay scattered across two tables in the middle of an excited group of young Shanghai Girl Scouts from a local international school. 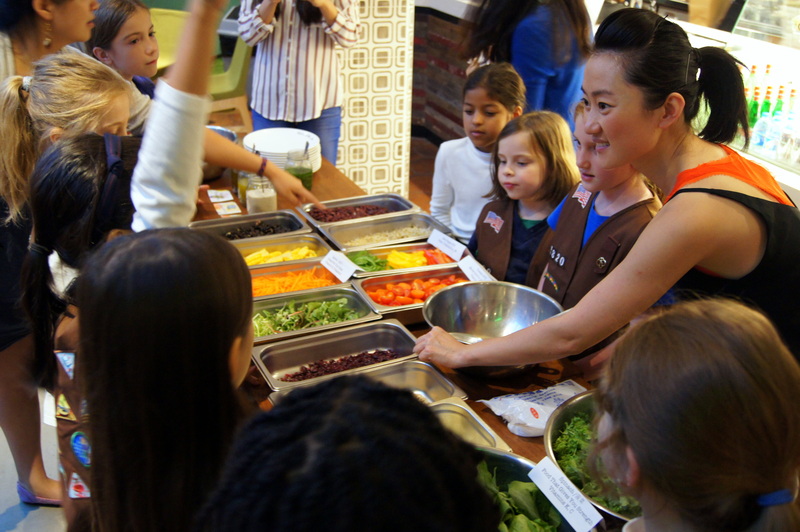 “Which foods do you think are healthier?” asks Lucy Luo, the Program Director of JUCCCE (pronounced juice), captivating both the girls and their troop leaders with her enthusiasm and sincerity. She speaks with a slightly lilting accent, revealing her Australian upbringing. Several Girl Scouts raise their hands, excitedly calling out ideas when called on by Luo or the JUCCCE interns aiding in the presentation. We met with Luo three days before the event to discuss the organization, its goals, and its impressive reach. 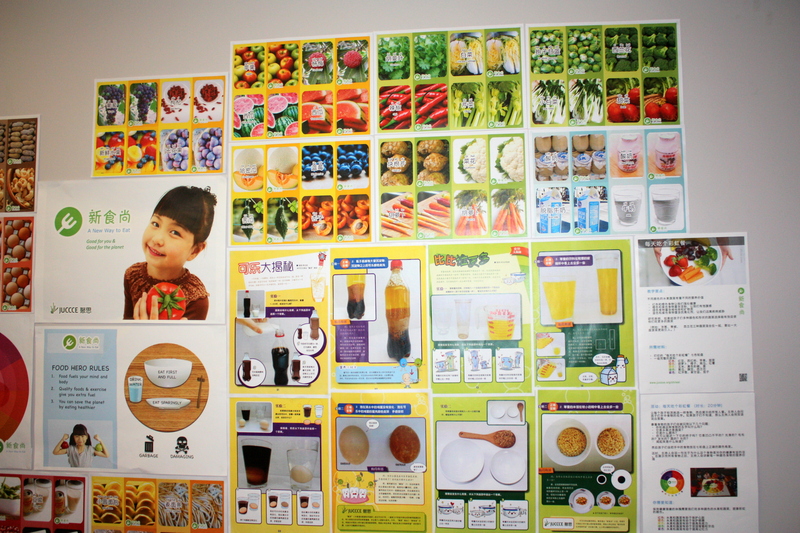 Located in Shanghai’s central Jing’an district, the cozy JUCCCE office is covered in promotional material and colorful graphics of fruits and vegetables. As we sit down to begin the interview, Luo’s proficiency and passion is evident as she speaks about JUCCCE and the work they do. Colorful “A New Way to Eat” mock-ups covering the walls of the JUCCCE office. These august beginnings and close connections with governments as well as top universities help explain some of JUCCCE’s outsized influence. In 2008, JUCCCE began teaching energy sustainability at Chinese government trainings, granting it access to policymakers that other organizations can only dream of. Through these trainings, JUCCCE was the first to introduce the idea of smart grids to China. JUCCCE now conducts sustainability training at “three of the eight government training schools in China.” This allows JUCCCE to not only help set the agenda, but also gives them influence in suggesting solutions. JUCCCE does, however, try to address some of the ancillary problems brought about by such monumental issues. In regards to the hukou system in specific, JUCCCE has addressed and offered potential solutions to the housing and nutrition problems caused or exacerbated by the current system. It should be noted that while JUCCCE does not feel restricted by the Chinese government, this is the exception rather than the rule. Two other environmental NGOs declined interviews with On The Ground, writing that “the space for NGOs feels pretty restricted these days and we must be cautious about how we choose to showcase our work.” Meanwhile, about 80% of organizations in China receiving grants from the Colorado-based Global Greengrants Fund choose to remain anonymous for fear of attracting government harassment. “The space for NGOs feels pretty restricted these days and we must be cautious about how we choose to showcase our work. 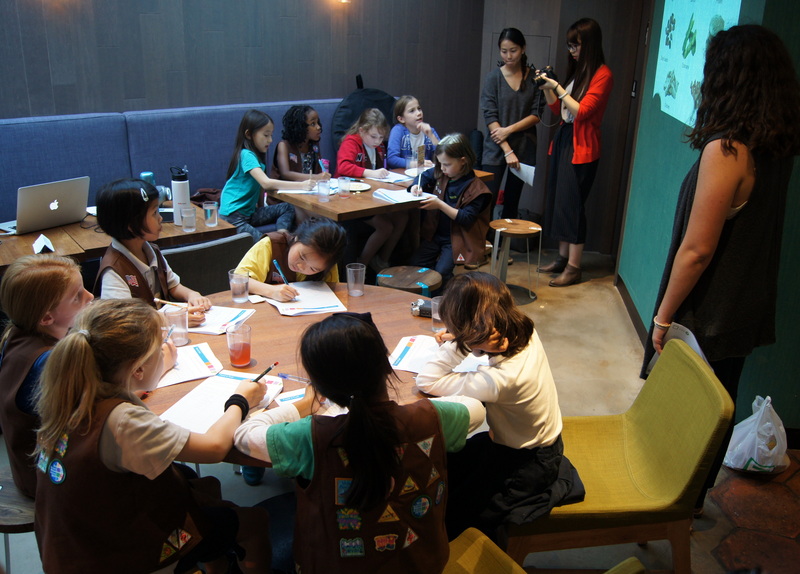 In recent years, JUCCCE has expanded beyond government training, realizing that “if [they] really want[ed] to promote sustainability en masse, [they] need[ed] to look at bottom-up initiatives.” This has led to programs like the “A New Way to Eat” with the Girl Scouts, which JUCCCE uses not only to spread the message of sustainable eating but also to test run lessons and activities for the “A New Way to Eat” curriculum. This has not stopped JUCCCE from achieving a truly remarkable amount in the eight years since its inception. In our interview with Lucy Luo and our attendance at the “A New Way to Eat” activity, we were continually impressed with both the good work JUCCCE has done and its ambitious goals for the future. And while we look forward to being proven wrong, it is hard to imagine an NGO achieving the level of impact of JUCCCE in the realm of sustainability in China. If you are interested in getting involved with JUCCCE, you can contact JUCCCE here. Currently, they find themselves with the greatest need for graphic designers and computer engineers to help create the colorful curriculum of “A New Way to Eat,” but they welcome help of all sorts.